Well, we made it out to CA two days later than planned. BUT, we made it. AND it was an unforgettable trip! Some big news coming up here on this lil’ ole blog. And because of that big news I’ve been a busy busy gal. More to come this week. 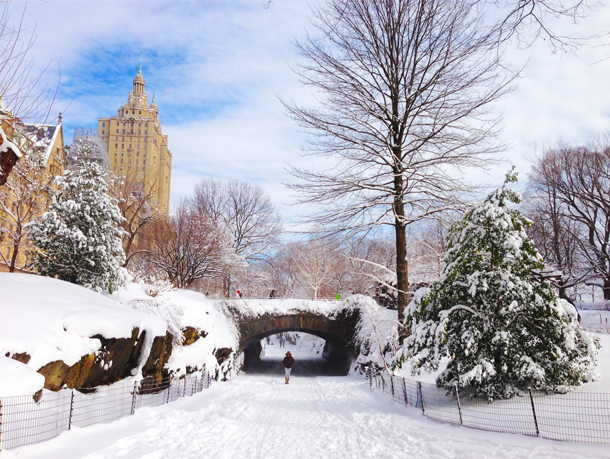 For now, how pretty does central park look frosted with a fresh layer of snow. At least we got to play in the snow a little before we left!